Map showing where the Promenades action will take place in the town. 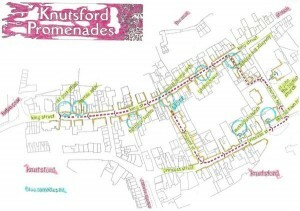 ORGANISERS have told the Guardian everything is in place for Saturday’s Knutsford Promenade. “So much energy and enthusiasm has been poured into this event by so many,” said co-organiser Sarah Flannery. “Now all we have left to do is keep our fingers crossed for great weather and a terrific turnout to help celebrate and commemorate the town’s heritage. Dave Mooney, chef patron of the Old Sessions House, is one business backing the Promenade. “As one of Knutsford’s longing serving business owners, I’m delighted to be able to help further the great events that take place in our lovely corner of Cheshire,” said Dave, who will be giving a cookery demonstration featuring local produce. “Keeping the war theme, I’ll be cooking some fabulous Cheshire rabbit with allotment summer vegetables and I’m sure there will be room in the recipe for some of Tatton Ales stonking beer! Adding a sweet touch to the Promenade are Mr Simms Olde Sweet Shoppe who will be dressing up and handing out traditional British sweets to the crowds; and The Candy Workshop who are taking an American GI approach to the day with special sweet rations. Andy Gough is bringing his 1942 Ford GPW Willy Jeep to the Promenade. It’s most recent appearance was in Normandy at the 70th anniversary of the D Day landings. A group of residents from the Mount Pleasant nursing home in Allostock will be dressing in red, white and blue as they plan take part in the community singing during the finale. “Many of the residents remember being in World War Two and have lots of memories, said the home’s events organiser Lucy Meggitt. 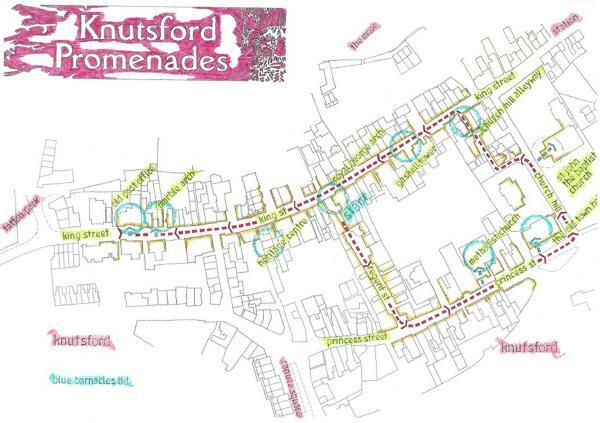 The Knutsford Promenade begins at 4.30pm from the Royal George archway. But the fun begins from 4pm as King Street is transformed into a giant street party.